A caregiver is a person who helps another with their activities of daily living – eating, bathing, dressing, toileting, transferring/walking, and continence. Approximately 87% of Americans receive this necessary assistance from informal, or family, caregivers. 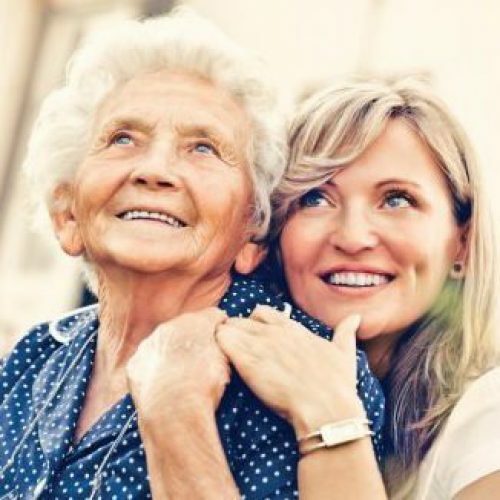 People are often thrust into the role of caregiver when a loved one is disabled, falls ill or experiences issues related to aging, and rarely do they have the proper knowledge of resources that can help. According to AARP, 58% of family caregivers are currently employed, balancing work with their caregiving role. Further, it has been estimated that U.S. businesses lose up to $33.6 billion per year in lost productivity from full-time caregiving employees. These losses could be due to employees’ need to provide transportation to medical appointments, make arrangements for care or communicate with health professionals. A part of a congregation who could benefit from an educational program for caregivers? An employer who invests in the wellness of their employees? Part of a community group or organization who could use information and support? Our Empowering Family Caregivers Educational Series is for you! Each year, 61.6 million Americans provide care to a loved one. These family caregivers are providing an honorable service which can cause an incredible amount of stress. In this session, you will receive tips for stress relief, recognizing and addressing caregiver burnout and creating a support system! 87% of Americans report that they want to grow older in their own home. In this session, you will receive information about how to make your home safe using adaptive aids, medical equipment and accessibility modifications. Additionally, our expert will discuss practical tips for providing hands-on care. 33% of Americans age 40 and over have not prepared financially for their future healthcare needs. Many people expect Medicare to cover these costs, but Medicare does not pay for long-term care. In this session, you will learn about options for paying for the healthcare needs of yourself and your loved ones. Adults over 65 are 35 times more likely to have lost money on a financial scam than people in their 40’s, according to research from the Stanford Center on Longevity and the Financial Industry Regulatory Authority’s Investor Education Foundation. In this session, you will learn how to prevent this from happening to their loved ones.